6Sigma.com is proud to have pioneered the provision of the first two weeks of Green Belts and Black Belts simultaneously, in the city of Austin. In this way, a major advantage that comes about is that both Green Belts and Black Belts can easily attend training in tandem, whereby organizations perceive a greater sense of flexibility and robust synergies within them. Moreover, organizations deploying Six Sigma principles can make the most of a wide variety of Six Sigma Champion leadership courses for themselves which are all delivered onsite for their maximum convenience. This Northwest Austin hotel is located next to the “second Downtown” of Austin, The Domain. The Fairfield Inn & Suites Austin hotel is in the mix of this eco-friendly urban oasis near shops like Dillards and Macys, and many restaurants. If you are traveling for business, this Northwest Austin hotel is near IBM, National Instruments, Freescale, and AT&T. The Fairfield Inn & Suites Austin hotel is conveniently located near the Arboretum, and the State Capitol, the University of Texas, and 6th Street are also easily accessible. Start each day with a complimentary breakfast buffet and high speed internet access is complimentary throughout the hotel. Always fresh, always clean this hotel is one of the most comfortable hotels in Northwest Austin. 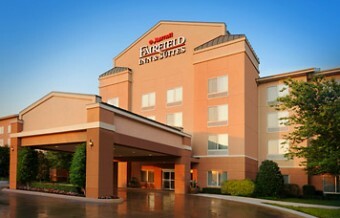 Come enjoy the Fairfield Inn & Suites Austin Northwest hotel!